You’re gearing up to spend a serious amount of money on a pair of wireless headphones. Good on you, you’re at the forefront of a new and exciting technology that is only going to keep getting better as time goes by. But you probably knew that already. What you may not know is what you can expect from this price point—the good, the bad, and the rest—, and that’s why we’re here to walk you through it. This price point is ideally suited for people who want to take their relationship with wireless audio to the next level. You aren’t quite ready for total commitment just yet, but you’re getting there. Who knows, a couple of years and some good times down the road, and you might be ready to seal the deal. One of the best designs in this segment. Great combination of awesome technologies and high performance. Effective active noise canceling technology that works. 25 hours of pure performance per battery charge. Might be too monotone in appearance for some. 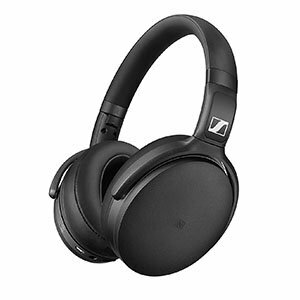 Following the overwhelming success of the 4.40, Sennheiser did what any brand would do, and expanded on the series. 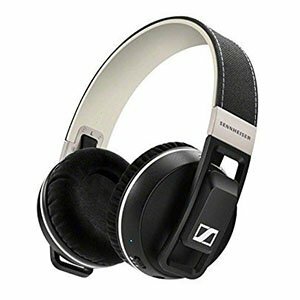 Sennheiser HD 4.50 SE represents one of the absolute best choices you can get in this particular price range. They have thought of just about everything, which is why the 4.50 SE has built quite a large following. There are numerous things that make these headphones a true contender. Normally, at the top of that list are the absolutely amazing drivers Sennheiser has packed inside these headphones. Then we have the active NoiseGuard technology which takes care of noise. Lastly, these offer 25 hours of superb audio on the go. It doesn’t really get much better than this. A sleek, black design makes these quite stealthy. Plenty of padding in all the right places. Great hardware which ensures good audio quality. Impressive battery life which offers 25 hours of use. Definitely not the smallest headphones on the market. Audio Technica have kicked up a lot of dirt in the world of headphones. Truth be told, most of their popularity comes from their studio series. With that said, they do offer an equally impressive series of wireless headphones. Audio Technica ATH-ANC700BTBK represent an awesome choice that delivers a positive bang for your buck. Truthfully, these confirm Audio Technica’s reputation. When it comes to actual specs, you are looking at a very solid frame, great cushioning and padding all around, paired with awesome hardware. By that we mean a set of impressive 40mm drivers capable of delivering fine detail, simple controls and a battery which gives you 25 hours of use per single charge. As such, it’s among the best. A simple but comfortable design which looks great. Comes packed full of awesome features. Great sound quality as always from Sennheiser. Come with an impressive battery pack. Could have used a bit more padding on the frame. Another Sennheiser model which is really worth checking out is the Sennheiser Urbanite XL Wireless. These are proper mid range wireless headphones which you can have on a budget. Overall, you’re looking at something that offers more than just your regular wireless experience. These are what many would call a higher end set. Because of that, they deserve your attention. 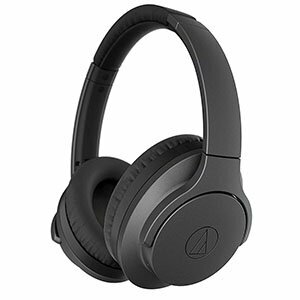 Aside from the high definition audio made possible thanks to apt-X codec and a pair of capable drivers, this set of headphone also features NFC, voice prompts and more. In terms of battery life, you are looking at 25 hours of constant use or up to 15 days of standby. On top of all that, comfort is definitely on point. One of the more comfortable models on the market. Packed with awesome features which really make a difference. Good sound that is impressive for a wireless rig. 35 hours worth of use per battery charge. A fairly bulky set which might be problematic for some. Sony has always been a strong contender on the headphones market. Their models tend to be concise, efficient and always on point. 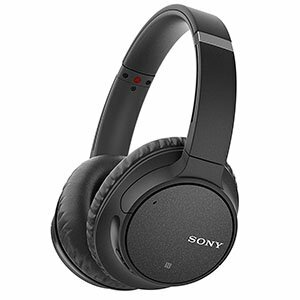 Those are just some the words you can use to describe Sony WH-CH700N Wireless Noise Canceling Headphones. These headphones pack a whole lot of punch for not a lot of money. Although fairly bulky, these always deliver performance. What defines them is a beefy frame with plenty of padding all over the place. Despite all that material, they are fairly light overall. Those large speaker housings hide impressive drivers which cover a broad frequency range. On top of that, you get a whole lot of awesome features and 35 hours of use per charge. That is a lot. Robust design that is comfortable and stable. Plenty of padding ensures good comfort all around. Good hardware ensures high audio quality. Quick charging technology makes these super functional. These aren't exactly compact nor low profile. Skullcandy is one of those brands that you either love or hate. With that said, there is something organic about their designs. Skullcandy Crusher may not be the perfect set of headphones for everyone, but it sure is a competitive set especially in this particular price range. These will get you the performance you need at a very reasonable price. 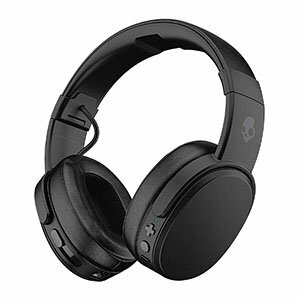 The frame is typical Skullcandy build with a decent amount of padding where necessary. The drivers inside the cups are pretty high quality, delivering good audio all around. Among awesome features, this model brings adjustable bass. With 40 hours of battery life and 3 hour available after only 10 minutes of charging, you are looking plenty of daily use time. Great selection of features for the money. Good design which is comfortable and practical. Good overall sound with plenty of detail. Great battery life and relatively fast charging. Not the best looking pair of headphones out there. Although they are not nearly as popular as some of the brands on our list, iDeaUSA offers a decent selection of headphones. The model we are looking at today confirms just how much performance you can score if you broaden your horizons a little. iDeaUSA Wireless Over Ear Headphones are packed to the brim and are competitive at this price. Despite their simple design, these headphones are very comfortable. The padding is pretty overt and straightforward. Comfort is more than satisfactory. On the other hand, you get good audio paired with active noise canceling, a 25 hour battery and more. If you need something more but you don’t want to spend a small fortune to get it, these will do. Iconic design with a lot of character. Great sound quality and overall performance. Plenty of features which include some more advanced stuff. Easy to use and live with on a daily basis. Might be a bit too out there for some. Marshall is known for their awesome amps as well as guitar pedals. 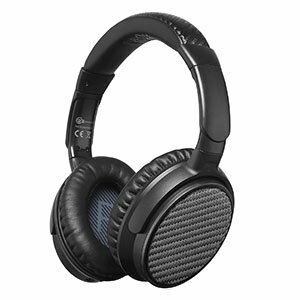 However, they also offer a great selection of headphones, especially if you are looking for studio gear. 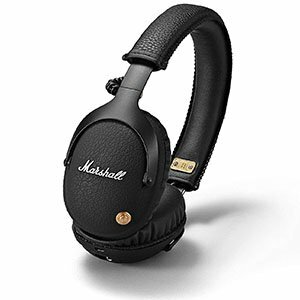 Marshall Monitor headphones are a great cross between monitoring cans look and something that you can use on a daily basis. They are fairly compact and robust, which is pretty awesome. In terms of hardware and features these offer plenty for the price. The frame is designed in that classic Marshall fashion of using black vinyl and brass details. The hardware is on point with a great set of drivers, a good battery pack and apt-X technology. These will last you 30 hours per charge, which is more than good enough. Plenty of durability which makes these great for daily use. Good enough battery life increases functionality. Packs plenty of awesome features for the money. Not the best sound quality out there. 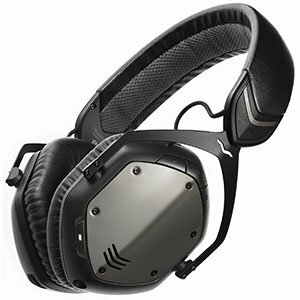 Last but not least we would like to show you the V-MODA Crossfade. These cans are among those more aggressive models which really take it up a notch when it comes to looks. The frame is quite unique but ultimately functional, which is why these are pretty popular these days. Despite being generally a gaming set, you’ll find these great. The padding is plentiful which ensures good fit and low fatigue overall. Active noise canceling works great and ensures good performance. The sound quality is definitely decent but don’t expect audiophile level of balance. With 12 hours worth of battery time per charge, these are pretty much good to go for daily use. Overall, these offer plenty for the price. In order to establish what this price point tends to do well, it’s a good idea to compare it with the one directly beneath it. In this case, that’s the $100 price bracket for which the general theme is that you want to start deciding on the relative importance of audio performance, feature sets, and battery life for your particular priorities. By contrast, then, the watchword for the $200 bracket is versatility. It’s at this point that you will start to see models which cover all bases: solid battery life, a similarly decked-out feature set, and audio performance that is (usually) comparable in terms of its technical prowess. This means that you can start to focus on things like the specific ‘sound signature’ (a term which basically just refers to the quality of the sound a particular device produces) or even good old fashioned design. There’s nothing especially bad for which you would need to be on the lookout at this price point. You may, however, notice a few minor frustrations and one particular trend that is worth keeping in mind when you study your buying guide: if a particular set of headphones does one thing unusually well, chances are there are significant trade-offs elsewhere of which you should be mindful. For example, not many headphones offer active noise cancellation at this price point. Of those that do, it is often (though not always) the case that the audio performance, battery life, and design suffer as a result of this focus on providing one specialist feature at the expense of a ‘jack of all trades’ approach. If you’ve done your research, and you have a good sense of what you’re looking for and why particular attributes of wireless headphones are more important to you than others, then all you need to do is look for whichever pair best instantiates these requirements. It shouldn’t be too difficult. One thing to keep an eye on is size. At this price point, you may notice that a couple of the models are significantly more bulky than you may see at lower price brackets. This is usually because of a combination of the perception that a heftier device designed from materials which feel robust implies a better build quality and, of course, the simple fact that you’ll probably be getting more internals crammed inside the case. Be sure to check out the particular form factor before you buy, and make sure that it folds or flattens enough that it won’t get in the way of your daily use and transportation. In many ways, this is something of a sweet spot in the wireless headphone market. You will notice a marked improvement from the ~$100 models, but won’t have to shell out for the often fairly niche offerings of the very top-end. Instead, if you make the right choice after carefully considering your needs and priorities, you should find yourself with a high quality, long lasting pair of headphones that tick pretty much all the boxes you could hope for.